The family-run company of Maison Louis Latour is one of the most highly-respected négociant-éléveurs in Burgundy. Renowned throughout the world for the quality of its red and white wines, the company has built a reputation for tradition and innovation. Regarded as one of the traditional négociant-éléveurs, Maison Louis Latour is the producer of some of the finest Burgundian wines but has also pioneered the production of fine wines from outside of the confines of Burgundy. These wines from the Ardèche and the Côteaux de Verdon are slowly gaining esteem for their unmatchable quality outside of Burgundy. 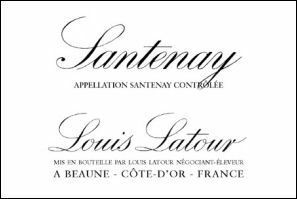 The Latour family themselves have been viticulteurs since the 17th century, slowly building up a unique Domaine of 50 hectares (125 acres). This Domaine has the largest Grand Cru property in the Cote d’Or with a total of 28,63 hectares (71,58 acres) . The vineyards extend from Chambertin in the north to Chevalier-Montrachet in the south and are solely planted with the two noble grape varieties ; Pinot Noir and Chardonnay. All of the grapes from the vineyards we own are vinified and aged in the attractive cuverie of Château Corton Grancey in Aloxe-Corton. The winery was the first purpose-built cuverie in France and remains the oldest still-functioning. A unique rail-way system with elevators allows the entire wine-making process to be achieved by the use of gravity. This eliminates the threat of oxidation from unnecessary pumping of the must. 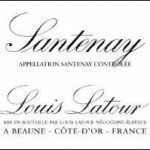 Since 1985 Louis Latour has been selling the wines of its own vineyards under the name Domaine Louis Latour. Santenay is the most southerly village in the Côte de Beaune and produces both red and white wines. The red wines from Santenay are reputed to be tannic and well-structured. 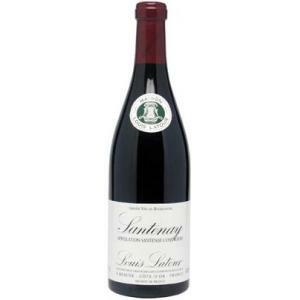 They say of Santenay that the wines have the soul of Volnay and the body of Pommard. Deep red in colour this Santenay has pretty cassis aromas. Supple, round and fruity on tasting with lovely tannins on the finish. This wine is already delicious.